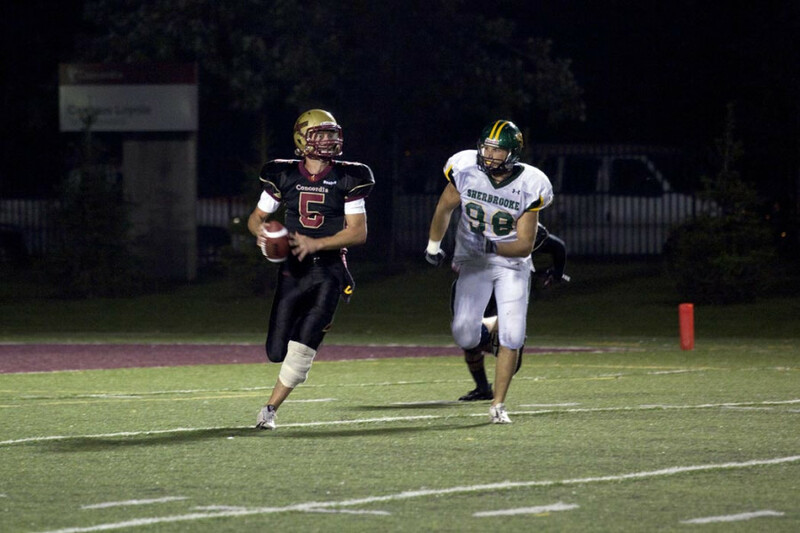 When the 2012 Réseau du sport étudiant du Québec football season kicks off in August, Concordia Stingers second-year quarterback Reid Quest will be ready—perhaps more ready for a football season than he’s ever been. Quest, who will be entering his second season as a Stinger after coming over from the Canadian Junior Football League’s Regina Thunder, has brought it upon himself to get the most out of this offseason as he prepares for the 2012 campaign. The Stingers quarterback stayed in Montreal this summer to train, sacrificing time off in his hometown of Regina. His preparation also received a huge boost when Quest learned about the Canadian Football League’s Canadian Interuniversity Sport (CIS) Initiative program from his coaches. In an effort to promote the game in Canada and to give CIS quarterbacks more exposure to Canadian teams (there hasn’t been a Canadian starting quarterback since Giulio Caravatta played for the Toronto Argonauts in 1996), each CFL team was mandated to bring in at least one CIS quarterback for a mini-camp last week. The Montreal Alouettes brought in a quarterback from each of the six university football programs in Quebec, Quest representing Concordia. He spent three days participating in the Alouette’s training camp activities at Bishops University in Lennoxville, Quebec. But, like any athlete, Quest drew greatest inspiration from watching one of the greatest of all time at his position. Quest and the rest of the Stingers offense hope that the time and effort put into next season’s preparations will lead to a more dynamic, explosive offense, something the team lacked at times last year.